The ICA Commission on the History of Cartography together with the ICA Commission on Map Production and Geoinformation Management, the ICA Commission on Use, User, and Usability Issues, and the Institute of Social Sciences “Ivo Pilar” (Zagreb, Croatia) would like to invite you to attend and/or consider submitting a presentation for their joint International Symposium on ‘The Dissemination of Cartographic Knowledge’. This International Symposium will be held in Dubrovnik (Croatia), a medieval port city on the coast of the Adriatic and UNESCO World Heritage Site, on Thursday, October 13, and Friday, October 14, 2016. The symposium and planned optional technical and social excursions on October 15 & 16 are open to cartographers, geographers, historians, map collectors, academics and everyone with an interest in maps and the diverse aspects of the history of cartography. The joint organizers invite contributions (papers and posters) on the dissemination of cartographic knowledge and the effectiveness thereof in diverse cartographic cultures and their related user groups around the globe. This includes the technological and conceptual aspects of cartographic production (maps, charts, globes, atlases, educational tools etc. ), the usability of these techniques and the resulting products, as well as the conditions of the map trade as a changing network of private enterprises and official institutions, and the role of diverse audiences in the creation, circulation, consumption and ultimate preservation of knowledge. Although the Symposium will primarily focus on these themes, submissions of high quality on endeavours in other fields of cartographic history will also be considered, as well as contributions on the sharing of cartographic knowledge during earlier centuries (pre 18th century), as they often formed the background for later important developments. 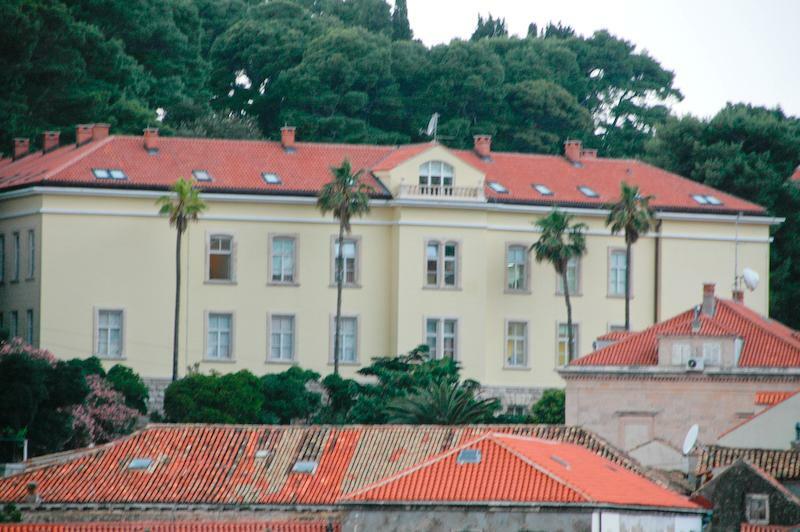 The intended venue is the Inter-University Centre Dubrovnik, just a stone’s throw away from the medieval walled city. The Centre offers a range of very reasonably priced university style bedrooms. In addition the tourism hub of Dubrovnik offers a wide range of other nearby accommodation possibilities. Cartographic and cultural heritages of Dubrovnik, which from the 14th century until 1808 was a regional rival of Venice as the Republic of Ragusa, will be explored by way of optional post-conference excursions. 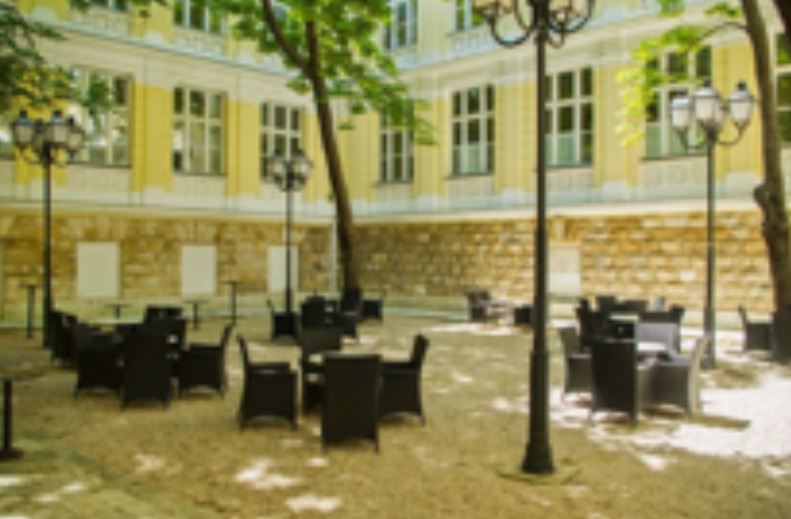 Building complex and courtyard of the Inter-University Centre, Dubrovnik. All submissions must be sent electronically via the online submission system on the conference website (operational as from mid-November 2015). Abstracts of up to 500 words, describing original research, plus a short biographical note, may be submitted on or before February 15, 2016 for peer review. Submissions of quality will be accepted for presentation at the conference and included in a booklet of abstracts. As with the previous symposia, the organizers plan to publish accepted papers of the Dubrovnik Symposium in the ICA proceedings series “History of Cartography” by Springer (Heidelberg / Amsterdam / New York – http://www.springer.com/us/book/9783319252421. To ensure a timely publication of the conference volume soon after the end of the symposium authors of accepted abstracts have to submit their final full paper version not later than December 15, 2016. The decision as to which papers will be published will rest with the Editors whose decision will be final. The organizers offer the possibility to present research findings or work-in-progress reports as a poster. A poster title and a short description should be provided.